A Vancouver Island pharmacist has lost his licence after dispensing drugs containing human placenta and preparing the pills in an “unsterile” facility with “little evident regard” for safety procedures. Isidoro Andres “Rudy” Sanchez, who managed a now-shuttered pharmacy in Courtenay, B.C., showed a “blatant disregard for public safety,” according to a ruling from the provincial regulator. The penalty comes after a four-year investigation, which began with the closure of the Marigold Compounding and Natural Pharmacy over public safety concerns in 2014. Sanchez was pharmacy manager at the time. The College of Pharmacists of B.C. first suspended him pending the investigation, which wrapped in August. A decision posted Sept. 10 said the pharmacy and “generally unclean” facility wasn’t fit for handling human tissue. 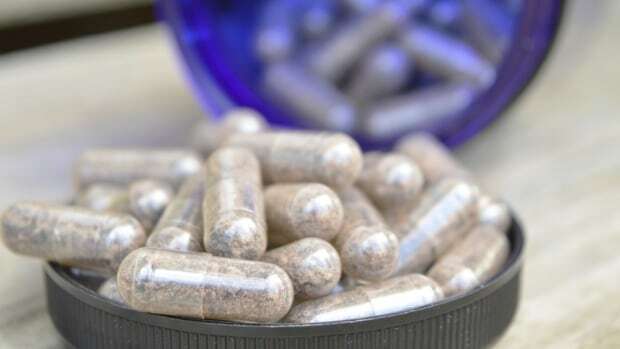 It also said investigators found human placenta intended to be packaged in capsules was accepted, handled and prepared with little adherence to proper safety protocols for handling human tissues. Sanchez handed out 88 prescriptions for placenta pills, which aren’t approved by Health Canada or for use in Canada under the Food and Drugs Act. He prescribed the capsules 64 times under his own name and 24 times using the name of a doctor and midwife, who denied ever prescribing the capsules for their patients, according to the decision. The investigation also found two bottles of placenta capsules in a fridge, with no patient information on the labels. Labelling human placenta properly is vital, the decision said, as ingesting someone else’s placenta can spread infectious disease. The lack of proper patient labelling also suggests some of the pills “were being sold to women other than the original mother donor,” the decision said. Patients were also counselled “on alternative drug therapies and products well outside the scope of pharmacy practice and without notification to the original prescriber,” it continued. Sanchez has been ordered to pay $ 115,000 in costs and can’t reapply for his license for at least six years. He had been previously suspended for similar infractions after the pharmacy was shut down in 2010.